Join Pioneer Works staff, artists-in-residence, and friends in our garden for lunch. Each event spotlights a local chef or culinary organization. 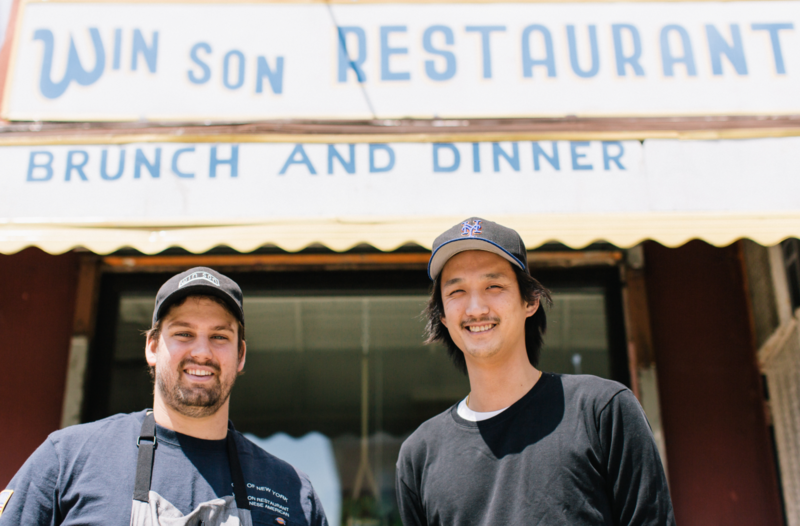 This month’s lunch features Chef Trigg Brown and Josh Ku of Win Son. Win Son is a Taiwanese-American restaurant that opened in 2016 by Chef Trigg Brown and Partner Josh Ku. The two met through friends and developed a relationship based on their mutual interest in Taiwanese cuisine. Trigg has been cooking for the past fifteen years, focusing predominantly on New American food, but also New American-Chinese food. Trigg studied literature at the University of Virginia and pursues a better understanding of regional cuisines through personal research. Josh is Taiwanese-American and has a background in the property and construction management industry. His food biz-related interests prior to Win Son were focused on shaved ice pop-ups and growing mushrooms. Win Son’s goal is to promote Taiwanese cuisine and culture as a neighborhood restaurant in a growing community.